Learn dental assisting top to bottom from the best, with the most comprehensive, most current, and most trusted text available. 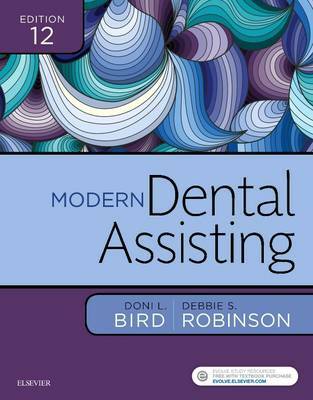 For more than 40 years, students and practitioners alike have relied on Modern Dental Assisting for its cutting-edge content, easy-to-grasp writing style, step-by-step procedures, engaging learning features, and top-notch visuals to master all aspects of dental assisting. The 12th edition showcases a brand-new illustration program and content on technological advances, public health and access to care, teledentistry, infection control guidelines, the Zika virus, Ebola, the oral-systemic health connection, and much more. Written by trusted experts Doni Bird and Debbie Robinson, this?is the all-in-one learning resource you need to stay ahead of the curve in the modern world of dental assisting.